The Court in PEDF found that the first sentence of the ERA provides an individual right “to clean air and pure water, and to the preservation of natural, scenic, historic and esthetic values of the environment.” The second and third sentences, the Court found, impose obligations on the Commonwealth, as trustee, to protect the Commonwealth’s public natural resources on behalf of the people. These trustee obligations, the Court stated, apply to municipalities as well. The Court in PEDF applied the trustee provisions of the ERA to overturn several statutory enactments that directed revenue from the leasing of state forest and park lands for oil and gas exploration and extraction to the general fund instead of a fund to be used exclusively for environmental protection. On August 15, 2017, the Pennsylvania Environmental Hearing Board, in Center for Coalfield Justice v. DEP, EHB Docket No. 2014-072-B (Adjudication issued Aug. 15, 2017), addressed the ERA in the environmental permitting context in light of the new standards established by the Pennsylvania Supreme Court in PEDF. The Board held that the test to determine whether the individual right of the ERA was violated is to determine whether the Pennsylvania Department of Environmental Protection (PADEP) considered the environmental effects of its permitting action and whether that action is likely to cause, or in fact did cause, the unreasonable degradation or deterioration of the natural, scenic, historic, and esthetic values of the environment. The Board found that the test to determine whether the trustee obligations under the ERA were fulfilled is whether PADEP properly carried out its trustee duties of prudence, loyalty, and impartiality to conserve and maintain the public natural resources at issue by prohibiting their degradation, diminution, and depletion. While the Board has continued to announce that the ERA Constitutional standard is not coextensive with PADEP’s regulations, the practical result thus far has been that regulatory compliance results in ERA compliance and regulatory noncompliance results in ERA noncompliance. 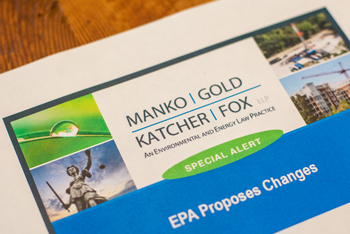 In light of the Pennsylvania Supreme Court’s holding in PEDF, courts in 2018 will be faced with a number of difficult issues involving the ERA, including (1) the scope of the term “public natural resources,” (2) the extent to which the ERA applies to private action, and (3) the obligations that the ERA imposes on municipalities and state agencies other than PADEP.